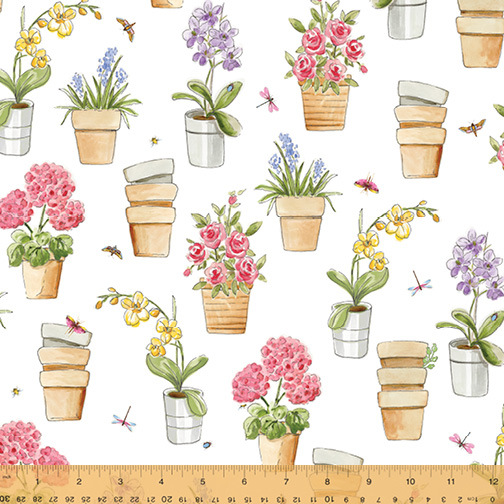 Greenhouse is a fabric collection for the lover of flowers and gardening. Painted terra cotta pots, gardening tools, insects and beautiful blooms come to life in all the colors of a greenhouse in Spring. On Sale: January 2019. Ships: June 2019. 17 skus.